On the last week of April earlier this year, a small committee of doctors met quietly in a midsized ballroom at the Renaissance Hotel in Chicago. There was an anesthesiologist, an ophthalmologist, a radiologist, and so on - thirty-one in all, each representing their own medical specialty society, each a heavy hitter in his or her own field. 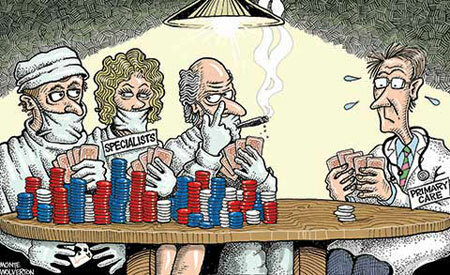 The meeting was convened, as always, by the American Medical Association (AMA). Since 1992, the AMA has summoned this same committee three times a year. It’s called the Specialty Society Relative Value Scale Update Committee (or RUC, pronounced “ruck”), and it’s probably one of the most powerful committees in America that you’ve never heard of. The purpose of each of these triannual RUC meetings is always the same: it’s the committee members’ job to decide what Medicare should pay them and their colleagues for the medical procedures they perform. How much should radiologists get for administering an MRI? How much should cardiologists be paid for inserting a heart stent? While these doctors always discuss the “value” of each procedure in terms of the amount of time, work, and overhead required of them to perform it, the implication of that “value” is not lost on anyone in the room: they are, essentially, haggling over what their own salaries should be. That doctor spoke to me on condition of anonymity in part because all the committee members, as well as more than a hundred or so of their advisers and consultants, are required before each meeting to sign what was described to me as a “draconian” nondisclosure agreement. They are not allowed to talk about the specifics of what is discussed, and they are not allowed to remove any of the literature handed out behind those double doors. Neither the minutes nor the surveys they use to arrive at their decisions are ever published, and the meetings, which last about five days each time, are always closed to both the public and the press. After that meeting in April, there was not so much as a single headline, not in any major newspaper, not even on the wonkiest of the TV shows, announcing that it had taken place at all. In a free market society, there’s a name for this kind of thing - for when a roomful of professionals from the same trade meet behind closed doors to agree on how much their services should be worth. It’s called price-fixing. And in any other industry, it’s illegal - grounds for a federal investigation into antitrust abuse, at the least. But this, dear readers, is not any other industry. This is the 'health care' industry, and here, this kind of “price-fixing” is not only perfectly legal, it’s sanctioned by the U.S. government. At the end of each of these meetings, RUC members vote anonymously on a list of “recommended values,” which are then sent to the Centers for Medicare and Medicaid Services (CMS), the federal agency that runs those programs. For the last twenty-two years, the CMS has accepted about 90 percent of the RUC’s recommended values - essentially transferring the committee’s decisions directly into law. It’s fairly common knowledge at this point that Congress does not allow Medicare to negotiate with pharmaceutical companies over the amount the government pays for their drugs. Each drug company simply sets a price for its own product, and Medicare either takes it or doesn’t. While that arrangement undoubtedly drives up Medicare spending - and health care spending more generally - it at least allows for some competition among the drug companies that manufacture similar products. But when it comes to paying doctors for the services and procedures they perform, the system is even more backward. In this case, Medicare actually asks the suppliers - the doctors themselves - to get together first, compare notes, and then report back on how much each of them ought to get paid. Medicare is not legally required to accept the RUC’s recommended values for doctors’ services and procedures, but the truth is, it doesn’t have much of a choice. There is no other advisory body currently capable of recommending alternative prices, and Congress has never given the CMS the resources necessary to do the job itself. The consequences of this set-up are pretty staggering. Allowing a small group of doctors to determine the fees that they and their colleagues will be paid not only drives up the cost of Medicare over time, it also drives up the cost of health care in this country writ large. That’s because private insurance companies also use Medicare’s fee schedule as a baseline for negotiating prices with hospitals and other providers. So if the RUC inflates the base price Medicare pays for a specific procedure, that inflationary effect ripples up through the health care industry as a whole. Another, even more powerful consequence of this system is that while the prices Medicare and private insurers pay for certain procedures have increased - sometimes rapidly - the prices paid for other services have declined or stagnated. That’s largely because of basic flaws in the way the system is set up. For one, the RUC spends the vast majority of its time reviewing specialty procedures, which change more quickly as technology advances, rather than so-called “cognitive” services, like office visits, that primary care doctors and other generalists rely on for the bulk of their income. “a hundred ways to bill for removing varicose veins, and only one way to bill for an intermediate office visit,” one former RUC member told me. For another, the RUC is dominated by specialists, who have a direct interest in setting the reimbursement rates for specialty procedures much higher than for general services. Those two factors go a long way toward explaining why we’ve seen an explosion of billing for certain types of lucrative procedures. These manipulated prices are also a major reason why specialists are in oversupply in many parts of the country, while a worsening shortage of primary care providers threatens the whole health care delivery system. It’s precisely because the RUC has overvalued certain procedures and undervalued others that radiologists now make twice what primary care docs do in a year - that’s an average of $1.5 million more in a lifetime. While that little fact doesn’t explain everything (doctors choose their fields for a multiplicity of reasons), future income is, presumably, not entirely unimportant to a young MD. And we’re not just talking about medical students here. Having the wrong kinds of doctors in the wrong places, with the wrong financial incentives, is one of the major reasons why Americans pay so much more for health care than do citizens in other advanced nations, and yet we live no longer. Over the past few years, a few well-placed health care figures from both parties have spoken out - at least once they’ve left office - about how crazy this system is. “The RUC is really just a giant cabal run by the AMA,” Thomas Scully, former head of the CMS under George W. Bush, told me. There have also been scathing reports issued by the Government Accountability Office, and by MedPAC, the agency that advises Congress on Medicare-related issues, as well as some hard-hitting investigative reporting by the Wall Street Journal and the Center for Public Integrity. In 2011, a bipartisan panel participated in a Senate roundtable, during which three former heads of the CMS took turns lamenting the RUC. The Affordable Care Act, for its part, includes a few lines that could potentially, if incrementally, limit the RUC’s power. But in general, it doesn’t much change the way the reimbursement system works. Taking on the RUC would have “started a nuclear war with the AMA,” as Scully put it, and alienated other key political allies that the administration needed to pass the law to begin with. Fixing the RUC, however, is essential to fixing health care in this country. The RUC, like that third margarita, seemed like a good idea at the time. When liberals were trying to pass Medicare in 1965, the staunchest opponent they faced was the AMA, which was dead set against the program on the grounds that “socialized medicine” would upend physicians’ livelihoods. In order to get the bill passed, liberals made many big concessions to organized medicine. One was keeping the “fee-for-service” payment system, which we still have today, in which doctors bill Medicare (and private insurance companies and uninsured patients) according to every single service or procedure they perform. Another was that Medicare promised to pay physicians the “usual, customary and reasonable” rate for each of those services. One of the problems that quickly arose was that there was no benchmark for what was “usual” or “reasonable,” no nationally accepted standard for “customary” for the price of each individual service or procedure. Prices, unsurprisingly, began to skyrocket. Despite the fact that a cataract surgery had gotten much easier to perform - it took two to three hours when it was first invented, but by the ’80s clocked in at about a half an hour - he continued to charge the “customary” rate: up to $6,000 a pop. By the mid-’80s, Medicare was spending about 4 percent of its budget on cataract surgeries alone. Meanwhile, an hour-long visit with a patient resulting in a complex diagnosis fetched about forty bucks. By 1985, doctors’ rates were, to say the least, wildly distorted and Medicare spending was outstripping the growth of both the economy and federal tax receipts year after year. Panicked, Congress amended the law in 1986 to require doctors to charge Medicare according to “historical” rates, but it was too little too late. “Historical” rates were already crushingly high, and Medicare was on the verge of collapse. And that’s when Harvard economist William Hsiao entered the scene. In 1988, he and his team unveiled what they hoped would be a rational process for setting physicians’ reimbursement rates. The result came to be known as the resource-based relative value scale (RBRVS). By interviewing hundreds of doctors from dozens of specialties, they painstakingly compared thousands of medical procedures - everything from removing a polyp to a lung transplant - and assigned each a relative value unit (RVU) according to three main factors: one, the amount of work it takes for a doctor to perform a given procedure; two, a doctor’s practice costs; and three, malpractice liability. Every year, Congress then sets a multiplier, converting that RVU into dollars. At the end of 1989, as part of the Omnibus Budget Reconciliation Act, Congress formally adopted Hsiao’s system, requiring that Medicare use the RBRVS in determining the prices it paid physicians. It went into effect in 1992. The plan went downhill almost immediately. In order for the system to work in practice, new services and procedures had to be added and old ones updated every year. Certain procedures, like in the cataract surgery example, that were initially very difficult and time-consuming to perform had become steadily more routine and quicker to do, while other procedures had gotten more complex and required more skill to perform. Those RVUs needed to be adjusted accordingly. Who should be responsible for updating the RVUs for all those thousands and thousands of procedures? The Bush administration, skittish of anything resembling government price setting, rejected the idea of establishing an independent council of advisers within the government. Instead, in 1991, they gave the task to the most powerful interest group in the industry, the AMA (which had, of course, graciously offered its services). “And that was the point where I knew the system had been co-opted,” Hsiao told me. The AMA spends at least $7 million a year running the RUC, according to its own estimates, and that includes maintaining about six full-time staff members. For that, it gets a very good return on investment. The first boon is that, in order to be on the RUC, specialty societies must become dues-paying members. At a time when the AMA has struggled against being overshadowed by specialty societies, controlling the RUC prevents what might otherwise be a rapid exodus of membership. And that’s a lucky break for the AMA. In 2012, dues collection actually increased by 3 percent, topping out at $38.6 million for the year. Cha-ching. The second boon for the AMA is that by controlling the RUC, it controls much of the source code that our health care system uses to operate. Every single one of those roughly 9,000 medical services and procedures has its own five-digit code, known as current procedural terminology (CPT), and the AMA owns them all. That means that anyone - physicians, labs, hospitals, you name it - who wants to bill Medicare, Medicaid, or a private insurance company has to purchase either AMA books and products, or products from other software companies that pay AMA royalties and licensing fees to use the CPT codes. According to its annual report, in 2012 the AMA made $83.1 million in “royalties and credentialing products,” a large chunk of which comes from licensing CPT. And that’s just the monetary stuff. The third boon - the real power curve - is the fact that the AMA’s control of the RUC makes it indispensible to everyone and everything in a $2.7 trillion health care industry. That includes specialty societies, primary care organizations, and medical device and pharmaceutical companies - all of whom have something big to gain or lose from the RUC’s decisions. The AMA cannot be unaware of this staggering power. Still, its official line about the RUC is that it’s simply doing the U.S. government a favor - offering its professional recommendations free of charge. Chaired by Dr. Barbara Levy, who is also the vice president of health policy at the American Congress of Obstetricians and Gynecologists, the RUC is simply a gathering of volunteer experts who jettison their personal interests and behave “like the Supreme Court” on behalf of the public good, according to the AMA. But in talking to a half-dozen current and former RUC members, including both generalists and specialists, the image of the committee that emerges is less a gathering of angels, cloaked by some Rawlsian Veil of Ignorance, and more akin to a health care-themed Game of Thrones. But everyone I spoke to said that specialty societies on the RUC form coalitions and alliances. Two doctors told me that “personal loyalties” play a major role in determining the way that RUC members vote. “There’s no denying it’s a highly, highly, highly politicized process,” a RUC member told me. Every time a new procedure comes along, a special committee at the AMA called the CPT Editorial Panel decides whether or not it needs to create a new CPT code for it. The need for a new code is sometimes tied to a new device - a valve or pump or robot that, if it is to be used, requires that doctors perform a new procedure. Importantly, it’s not the panel’s job to weigh in on whether a new procedure is more effective or cost-efficient than a traditional method. The Food and Drug Administration (FDA) has to approve a new device for the panel to consider it, but other than that the panel’s job is limited. It simply decides if a new procedure is sufficiently different from existing procedures already in the CPT; if it is, then it is assigned a CPT code, and then sent off to the RUC to be assigned a relative value unit. 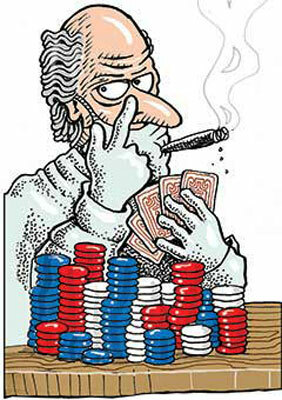 When either updating an old RVU or coming up with a new one, the RUC members spend most of their time debating something called “work units” - a slippery currency that combines how much time, training, technical skill, physical and mental effort, and stress are required of a doctor when performing a certain procedure or service. For example, according to the 2013 RUC database, “freezing off” a suspicious-looking lesion or freckle, known in the medical parlance as a “destruction,” has been assigned 1.22 work units; inserting a single-valve cardiac stent, 33.75. By many accounts, the resulting debates are often spectacularly absurd. The RUC’s database features page upon page describing what exactly a doctor does when performing each procedure. How many minutes must a doctor spend waiting for a patient to get dressed or undressed? How much time does it take to scrub in, or wait around? To read a chart? Each of these questions can bring sometimes hours of haggling at the meetings. And then there’s the even more slippery idea of how much “mental effort” or “stress” a given procedure requires. How stressful is it to, say, perform a surgery that requires a doctor to stop a patient’s heart? And, since all of these values are relative to one another, is that level of stress greater or less than having an office visit with, say, an emotionally disturbed teenager suffering from multiple illnesses? It’s at this point that most people - both AMA representatives and critics of it - are in agreement: at best, this is a deeply imperfect system, mired by necessity in the minutiae of doctors’ actions. But while RUC supporters argue that it’s simply the best we’ve got, critics contend that by taking an already imperfect system and handing it over to precisely those groups with the biggest material interests at stake, we’re making it even worse. Coming up with the exact number, down to the hundredth decimal point, illustrating the “work units” for a given procedure is an admittedly thankless task. But when the RUC does it, it relies to a large degree on the testimony of - who else? - the most affected specialty society on the RUC. For instance, the American College of Cardiology will give a presentation arguing for the precise amount of time and effort required to perform a cardiac stent; the urologists weigh in on how long a catheter procedure should take. The RUC’s argument here is that the most affected specialty society knows the most about how much work, time, and stress go into the procedures its members perform. But, of course, that specialty society also has the most to gain by inflating that value. For one, it’s in that society’s direct interest to get its members paid as much as possible. For another, the most affected specialty society often receives a good chunk of its funding from pharmaceutical and medical device companies - companies that also have a direct stake in the RUC’s proceedings. When the RUC offers up generous reimbursement rates for a specific procedure, doctors generally do it more often, and that means they use more of certain drugs and devices, too. It’s a positive feedback loop - and everyone knows it. And then there’s the fact that much of the “data” these affected specialty societies trot out in front of the RUC would not pass the laugh test in a high school stats class. After all, these specialist societies get their data from surveys of their own membership - a group of people who stand to gain directly and materially from making a procedure seem as difficult, time-consuming, and stressful as possible. And respondents can’t exactly plead ignorance. They know darn well how the results of those polls will be used, and in case they forget, the surveys are printed with a reminder: your response is “important to you and other physicians because these values determine the rate at which Medicare and other payers reimburse for procedures,” according to a 2010 Wall Street Journal article. What’s more, RUC rules require as few as thirty survey responses - a meager sample size, even if everyone involved weren’t both self-selected and personally invested in the results. “You wouldn’t use the results of thirty surveys to determine anything, much less billions in taxpayer cash,” a former adviser to the RUC told me. Another flaw in methodology comes from the fact that the RUC often relies on records from teaching hospitals in determining how long an operation takes, even though teaching hospitals often have longer surgery times than nonteaching hospitals. A 2006 study by the nonprofit health care research firm RTI International compared the amount of time the RUC suggested for sixty surgeries to data from 148 hospitals’ actual surgery logs. The RUC’s estimated times were often longer - sometimes by up to two hours. Perhaps the most damning aspect of the RUC’s methodology, however, is that, while its members often spend quite literally hours debating if a certain procedure takes three minutes or just two, the RUC never so much as flicks at the question of how much - or even whether - a procedure actually benefits patients. This failure, which is part of a broader flaw in federal health care policy, is enormously damaging to the practice of American medicine. Among other things, it means that many patients wind up undergoing expensive procedures for which more effective and less costly alternatives are available. The AMA’s main defense against the charge that the RUC skews health care spending toward specialists’ costliest procedures is that the system is self-policing. The members are working within a fixed budget, the AMA says, so they keep each other in check: if the RUC votes to raise the RVU of one procedure, it has to account for that increase by decreasing RVUs of other procedures elsewhere. And that’s true - as far as it goes. The process does indeed involve much squabbling among specialist societies, and RUC representatives do sometimes end up voting to lower codes that would positively affect their own societies. “There’s a certain calculation that happens, and people definitely vote against themselves,” a former RUC member told me. But this inter-society bargaining occurs in a context in which there’s already a baked-in directional bias toward increasing the value of technical procedures, which are updated regularly and constantly fine-tuned, rather than cognitive or diagnostic services, which are mostly left alone. It also occurs in a context in which one side is politically weaker than the other. The most important cleavage within the RUC is between specialist doctors, who make the bulk of their money billing for procedures, and primary care doctors, who generate most of their income from office visits. While the primary care docs make up roughly 40 percent of physicians nationwide, they have only 14 percent of the votes on the RUC. Primary care physicians now have four rotating seats on the committee - up from just two seats a few years ago - out of a total of twenty-nine voting seats. (Of the thirty-one-doctor panel, two permanent seats are nonvoting positions.) Since a vote passes with a two-thirds majority, their political clout is extremely limited. In 2005, this baked-in two-faction system erupted into a full-blown war during a RUC meeting when the two representatives from primary care threatened to leave the committee if it did not increase compensation for office visits, according to people who were present at the time. Powerful specialty societies, who didn’t want to see the amount of the pie remaining to pay for procedures decreased, vehemently opposed the idea. Dr. Tom Felger, a former director of the American Academy of Family Physicians who was on the RUC at the time, told me that the American College of Surgeons had even created a spreadsheet, which they shared with other surgical specialties, illustrating exactly how much the RUC could increase the value of the office-visit CPT codes without affecting surgeons’ income. In 2007, the RUC did finally vote to increase the RVUs for office visits, redistributing roughly $4 billion from different procedures to do so. But that was only a modest counter to the broader directionality of the RUC, which spends the vast majority of its time reviewing, updating - and often increasing - the RVUs for specific, technical procedures that make specialists the most money. Because of the direct relationship between what Medicare pays and what private insurers pay, that has the result of driving up health care spending in America - a dynamic that will continue as long as specialists dominate the committee. And despite the RUC’s vote to increase office-visit codes, the large payment gap between primary care doctors and specialists still exists. In 2012, radiologists and orthopedists made on average nearly twice as much ($315,000) as pediatricians ($156,000), while family doctors and those specializing in diabetes and endocrinology made nearly $140,000 less than urologists. “If… a primary care doctor is making a fraction of what an orthopedist is making, then that distorts the health care system in a whole variety of different ways,” said Vladeck, the former head of the CMS under Clinton. One effect is that fewer young doctors choose to go into primary care. 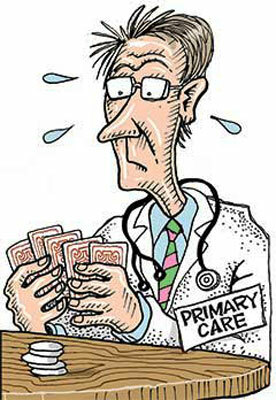 Another is that existing primary care docs cram more and more patients into their schedules to make up cost on volume and, as a result, have only a few minutes to consult with each one (see Candice Chen, “A Day in the Life of a Primary Care Doctor,” page 42). “If you run a practice and have bills to pay - that’s going to weigh on you,” says Kavita Patel, a primary care internist at Johns Hopkins Medicine and former health care adviser at the White House. The good news is that there’s been some incremental progress in the past few years. For example, a more empirical system is now in place for selecting the CPT codes that the RUC reviews every year. The CMS has also cracked down on certain types of redundant billing. The CMS touts that in the last couple of years it has accepted only 60 percent of the RUC’s recommended RVUs - down from an average of about 90 percent over the past twenty years. The Affordable Care Act also takes some incremental steps toward reforming the payment system. It requires that the CMS create new “mechanisms” for establishing the physician fee schedule, which can include increasing its own in-house data collection and analysis to correct, corroborate, or refute the RUC’s recommendations, especially for inputs that are more easily measured empirically, like determining how long on average a given surgery takes. To comply, the CMS recently commissioned two reports from the RAND Corporation and the Urban Institute to advise the agency on how best to do that. The CMS, in cooperation with the AMA, is also considering rolling out new codes that may make it easier for primary care doctors to bill for services for which they weren’t previously compensated. This year, for example, they introduced two so-called transitional care management (TCM) codes that will allow doctors to bill Medicare for the time they spend helping patients transition from an in-patient setting to another community or their homes. Yet while some of these incremental changes have been supported by the AMA and the powerful specialty societies (which, indeed, have nothing to lose from, say, TCM codes), other attempts at reform have been met with fierce push back - from organized letter campaigns to intense lobbying - and it is not clear if they will survive. “CMS is in a no-win situation,” says Vladeck. Even if these incremental steps remain in place, some critics argue they are akin to frosting on a rotten cake. Long term, there are two basic options to really solving the problems caused by the RUC. The first is to take the process away from the control of the AMA and put it in the hands of a well-resourced group of experts under the auspices of the federal government. This might take the form of a panel of doctors employed by the government, or of an advisory committee of representatives of different medical societies but with greater representation of primary care doctors. While the latter set-up would hardly eliminate all conflicts of interest and political horse trading, such a committee would at least have to meet federal requirements for disclosure of all conflicts of interest. It would also be required to publish minutes from the meetings, data from any surveys used, and so forth. That would be a big improvement over the current, closed-door policy at the RUC, which, because it’s convened by a private entity, the AMA, enjoys First Amendment freedom from federal disclosure rules. This option, however, is politically tricky. “The AMA and these medical specialty societies have power, and they’re not wild about seeing that power diluted,” said Zeke Emanuel, a former special adviser on health policy to the Office of Management and Budget and the National Economic Council, and an oncologist. In 2011, Washington Democratic Congressman Jim McDermott proposed a bill that would have furnished the CMS with resources to assemble an independent council of advisers. It was met with a strongly worded letter from the American College of Surgeons the day it was proposed and died in committee that afternoon. Some reformers point to a provision in Obamacare that might allow for an end run around Congress. The law creates a new entity, the Independent Payment Advisory Board, which, if Medicare costs outstrip the Consumer Price Index, will have the power to cut or change Medicare provider payments unilaterally. Statutorily, IPAB could create a government-run equivalent of the RUC. Whether it will ever get a chance to exercise that power, however, is an open question: IPAB is a major political target for both Republicans who are demanding its immediate abolition and some Democrats who enjoy close ties to the medical drug and device industry. The second option to solving the RUC problem would be to get Medicare out of the business of funding fee-for-service medicine. 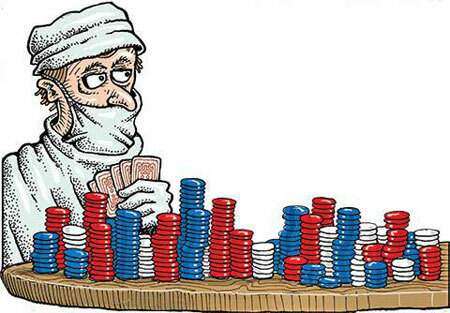 Reformers have been complaining for years that paying providers per procedure creates incentives for gaming and overuse that are difficult, if not impossible, to overcome. Under Obamacare, the CMS is already taking modest steps away from fee-for-service billing by expanding experiments in “bundled payments,” whereby providers are paid a lump sum to take care of patients with certain conditions, like diabetes or heart disease. The AMA, aware of the growing backlash in Washington against fee-for-service, has endorsed some of Medicare’s bundling initiatives. But we need to go much further. It’s no coincidence that numerous studies have found that the best-quality and lowest-cost health care in America can be found in systems like Veterans Affairs and Utah’s Intermountain Healthcare where doctors are on salary and paid for keeping their patients well, not according to a fee-for-service system. As this magazine has argued (see Phillip Longman, “The Cure”), the federal government should set a certain date at which Medicare will pay only for health services provided by integrated systems. Such a move would be fiercely resisted by organized medicine, and specialist societies in particular. But it would be the surest way to control the nation’s health care costs while improving health outcomes. with fee-for-service eliminated, there would be no need to have thirty-one doctors sit in a ballroom in Chicago and centrally plan the pricing minutia of thousands of medical services and procedures. The RUC, in other words, would be made obsolete.